A jointly developed drought-tolerant corn from BASF Plant Science and Monsanto is being reviewed by the U.S. Food and Drug Administration (FDA) for regulatory clearance, according to the companies. Monsanto has submitted the product to the FDA and, if approved, the firms expect to have it available to farmers within the next four or five years. The BASF unit's R&D facility is in Research Triangle Park. North Carolina has opened a trade and investment office in Shanghai, the seventh state Department of Commerce overseas office that promotes business activity. Others are in Hong Kong, Canada, Mexico, Japan, Germany and Korea. China is North Carolina's second-largest export market, trailing only Canada. Other major markets for Tar Heel goods and services are, in order, Mexico, Japan, Germany and France. Raleigh-based Arbor Pharmaceuticals has received a Series A venture capital infusion to finance the launch of its third product. ParagonDx, a genetic and molecular testing diagnostics company based in Morrisville, has started selling a warfarin-sensitivity testing service to doctors' offices. Warfarin, also known for the brand name Coumadin, is a blood thinner that prevents and treats blood clots. The therapeutic effect for warfarin can vary widely among individuals, depending on their genetic make-up. Bill Dean, the Director of the Piedmont Triad Research Park has been named Chairman of the newly formed North Carolina Research Parks Network organization. As of January 2009, Bill will chair the Network, a coalition of seven leading science parks located across the state of North Carolina. Research Triangle Park-based SCYNEXIS has reported positive results from a Phase I clinical trial for its lead oral antiviral drug candidate for treating adults with chronic hepatitis C virus (HCV) infection. The experimental medicine, dubbed SCY-635, represents a new class of drugs called cyclophilin inhibitors. They're a family of enzymatic proteins related to the more well-known drug cyclosporine that has been used for decades to prevent organ rejection after transplants. Durham-based Expression Analysis will promote its recent purchase of an Illumina genome analyzer at the International Plant & Animal Genome Conference in San Diego next week, as proof of its entry into the agricultural market. The 8-year-old provider of genomic services for clinical trials and research intends to use its booth at the show to demonstrate ways agricultural scientists can accelerate their discoveries using Expression Analysis in their biological research. Research Triangle Park-based Liquidia Technologies and pharmaceutical company Abbott have signed a collaborative agreement to use Liquidia nanotechnology to deliver cancer therapy. Liquidia, a privately held nanotechnology company co-founded in 2004 on the discoveries of Professor Joseph DeSimone, Ph.D., and colleagues at the University of North Carolina at Chapel Hill, uses a protein particle fabrication method licensed from UNC. 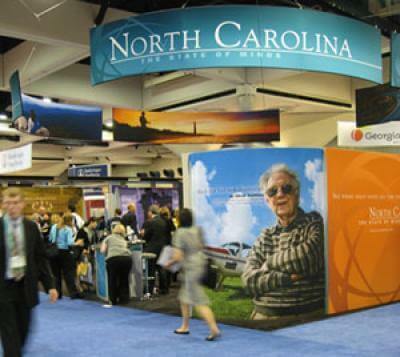 The North Carolina Department of Commerce is coordinating North Carolina's pavilion for the BIO 2009 show, May 18-21 in Atlanta. The North Carolina pavilion will showcase North Carolina and its biotechnology and life science assets. Durham-based Chimerix has started Phase II clinical trials of its oral anti-viral drug candidate, CMX001, after finding positive results in Phase I tests involving 84 healthy volunteers. Raleigh-based BioDelivery Sciences has sold another round of marketing rights for its lead product, ONSOLIS, allowing its Swedish commercial partner, Meda, to sell the drug everywhere but Taiwan and South Korea. The sale, for a one-time cash payment of $3 million, expanded an earlier marketing agreement giving Meda rights to sell ONSOLIS, a pain therapy using BioDelivery's proprietary delivery system involving a drug-impregnanted film held against the inside of the cheek. PPD has purchased a state-of-the-art laboratory and hired 80 employees from Merck as part of a vaccine-testing agreement announced Monday. Financial terms were not released for deal, which calls for Wilmington-based PPD to develop tests that measure the effectiveness of Merck vaccines. North Carolina, already the world's leading center for contract research organizations, is entering a renaissance era of CRO company growth and job creation.